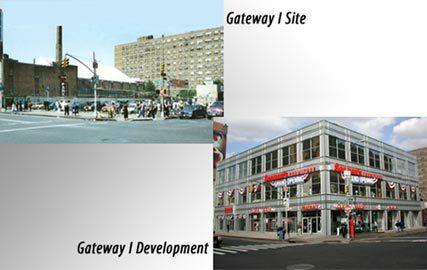 We co-developed the Gateway Building, a 40,000-SF three-story commercial complex on East 125th Street and Lexington Avenue. Acting as co-developer, we won control of the site through a competitive RFP process; structured and secured commitments for multi-source development financing; negotiated pre-development leasing commitments; and oversaw design and construction. The project was completed in 2002.